The isolation of Alaska’s arctic is the perfect place to hide. But you can’t outrun your past. Maggie Shaw flees an abusive husband and assumes a new life as Anne Sutton, a 911 emergency dispatcher. Her ex, Ray Malloy, a meth-dealing, dirty cop with a vicious temper and a powerful right hook, is determined to find her and the three million in drug money she stole. Using her computer hacking skills, Anne is able to stay one step ahead of Ray until he goes off the grid. Even though she lives her life with the constant threat of discovery, she’s eventually able to form deep friendships and even falls in love again–with Joe Carducci, the new cop in town. When Ray shows up in Barrow, Anne must overcome her fears in order to protect her friends from Ray’s violence. Anne is a 911 operator in a relatively small Arctic town. She is there to hide from her abusive husband. Even though it’s been four years, she still tries to keep tabs on him. Ray is a dirty drug making sheriff deputy and is using all his resources to find his missing wife who ran off with his drug money. This book is a smidge predictable, but other than that is very well written. Slowly throughout the story we learn more about Anne’s past and what led her to flee her job and friends behind. 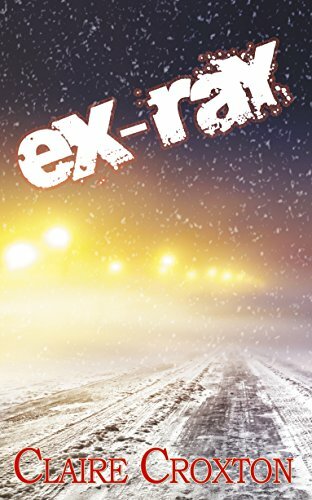 When a new officer moves to Barrow, Alaska Anne’s senses are all awakened after quite a long slumber. While Joe and Anne learn to deal with their haunted past, their romance heats up to a spicy level. The spice and suspense actually bland well together. I would recommend Ex-Ray to those who like those two mixed together.